SOUL FOOD FOR HUNGRY ADULTS: THIRD SUNDAY OF ADVENT, DEC.16, 2012. ‘Come dance with me!’was a famous 1959 album by Frank Sinatra. And we’re all familiar with ‘Strictly Come Dancing‘, the competition on BBC where amateurs and professionals link up, for dancing! And here today we have a prophet we scarcely ever hear of, called Zephaniah, telling us how God is ‘dancing with joy over us! Zephaniah lived about 640 BC, at a period when Judah had been under the heel of the great Assyrian Empire, and there was a lot of disorder and lots of false gods and corruption. There were beginning to be faint hopes of recovery and of religious reform. Sounds familiar, with our banks and Troika and the beginning of the Year of Faith? And here we have today this wonderful song from the end of Zeph’s book, about our God dancing with joy over us, and then Paul telling us to rejoice in the Lord always! There’s a whiff of something,- or is it Some One?- in the air. Something is happening, Some One is coming, What must we do? What is being promised to us? 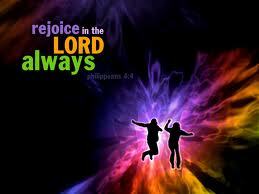 Why are we rejoicing? Why is God dancing with joy? Because ‘Someone is coming’! Someone whose sandals we would not even be worthy to untie. Someone who will come and steep us to our core with the Holy Spirit and the fire that was and is in his own heart,- a Spirit of joy and consolation and zest for living and for loving, someone who wants us to be on fire too. ‘What must we do?’ is asked three times, by different people in different walks of life. And John tells them to act justly, to live rightly, as they await the One Who is to Come,- Jesus, the Carpenter, from Nazareth. Examine our lives to see if we are ready to receive the Master, and to have in us the Master’s Spirit, the Spirit of the Father. On this ‘Rejoice’ Sunday or, in Latin, ‘Gaudete‘ Sunday, (where we light the rose- coloured candle on the Advent Wreathe) we are waiting for, and preparing to receive in a new way, the Risen Lord who is our very own flesh and blood and also Son of the Father,- the one who was born in a stable, grew up in a village, preached in the countryside, and was killed outside the walls of a great city; the One who is risen and lives in our streets. And if we welcome him again, as if for the very first time, then ‘the Father will dance’, surely! Have a great week! Nine days to go! 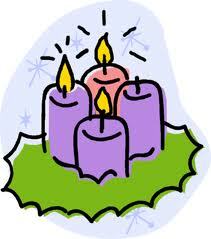 ← SOUL FOOD FOR YOUNG ADULTS: 3rd SUNDAY OF ADVENT, DECEMBER 16, 2012.